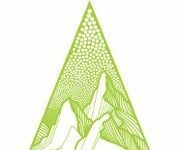 This week at the Outdoor Retailer Snow Show, Outdoor Industry Association (OIA), Snowsports Industries America (SIA) and the National Ski Areas Association (NSAA) announced the formation of the Outdoor Business Climate Partnership, an alliance that will provide leadership on advocacy and inspire action on climate change across the outdoor business sector. The group’s businesses, customers and the nearly 150 million Americans who participate in outdoor activities each year are dependent on a stable climate and have a vested interest in being part of climate solutions. The Outdoor Business Climate Partnership is the first-ever broad collaboration among the trade groups, which now stand united in working to mobilize their memberships to increase action on climate change. The group will join forces to support the passage of comprehensive, bipartisan climate legislation in Congress, the adoption of market-based policies that reduce greenhouse gas (GHG) emissions, and decarbonization of the grid through state and utility level initiatives. The group has its work cut out or it, as during this past election cycle, most state-level environmental initiatives failed to pass.